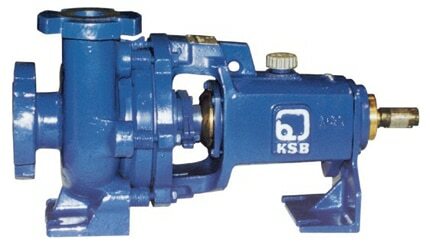 KSB Pumps (on Snap) was established in 1960 and set up a pump manufacturing facility at Pimpri, Pune. It’s a subsidiary of the German KSB AG, and under its shadow, KSB has been able to import technology and deliver high end products to the domestic Indian market. The global pump market size is pegged at US$56 billion in 2017. In India agriculture and building services comprise 46% of the market by value while the industrial sector constitutes the remaining 54% of the market. KSB India is a subsidiary of the German based company KSB AG. KSB stands for Johannes Klein, who along with Friedrich Schanzlin and Jakob Becker founded the company. It is the fourth largest player in the Indian industrial pumps and valves business. KSB yields solutions for transportation and distribution of water, waste water and industrial fluids. The company manufactures a wide range of pumps [80% of revenues] and valves used in the power, oil & gas and other industries. Castings are mainly produced for captive consumption. 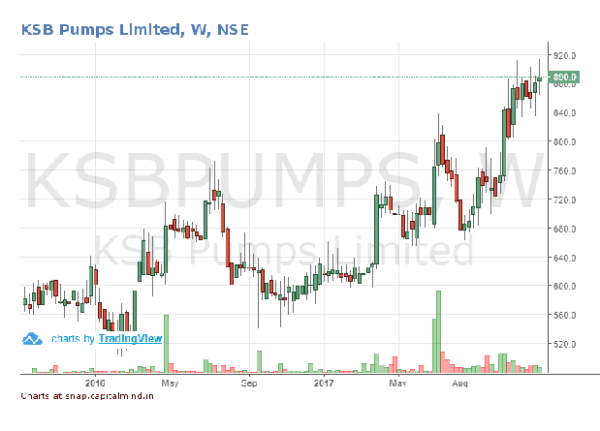 Other players in this market include Honda Siel Power Products, Kirloskar Brothers and Shakti Pumps. The company has plants across India with a total manufacturing capacity of 150,500 pumps, 186,000 valves and 9,200 tonnes of castings (Ferrous and non-ferrous). Pimpri [Irrigation & Process Division] – Manufacturing of submersible pumps, vertical and horizontal pumps, series and non-series pumps, multistage pumps, chemical process pumps, non-clog pumps and water pumps. Chinchwad [Power Projects Division] – Manufacturing of primary heat transfer pumps, moderator pumps, main boiler feed pumps and multistage condense extraction pumps, re-heater drain pumps and auxiliary boiler feed pump. Satara [Energy Pumps Division] – the commercial production at this plant just kicked off on 1st December, 2017 – manufacturing/processing in respect of activities of high-end engineered pumps for Super Critical Power Plants. Coimbatore – NSN Palayam [Valves Division] – Manufacturing of valves (Globe, Gate, Check, Butterfly & Ball valves). 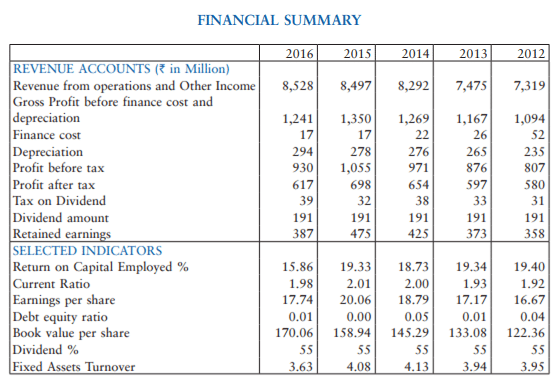 For the quarter ending September, 2017 : The company declares results based on calendar year ending December and not financial year ending March. The Net Revenue stood at Rs. 205.72 Crore against Rs. 178.50 Crore during the same period last year. Nine month figures have witnessed a little bump to Rs. 663 Crore from Rs. 632.78 Crore. Net Profit stood at Rs. 11.61 Crore against Rs. 8.67 Crore. Similar number for the 9M period stood at Rs. 40.30 Crore and Rs. 42.75 Crore. EPS for the quarter ended at Rs. 3.34 against Rs. 2.49 during the last period last year. On the distribution front, KSB hits every part of the country through its wide distribution network comprising of 4 zonal offices, 15 branch offices, over 800 authorised dealers, 4 service stations, over 150 authorised service centres and over 20 godowns. Close to 40% of the company’s raw materials costs are in the form of Metal components and castings with the company successfully sourcing close to 55% of its requirement from small and medium enterprises. While the Promoter & Promoter Group holding stands at a healthy 67%, many individual and major institutional holders remain away from the stock. Notable shareholders include Reliance Capital with 7.38%, DSP Blackrock with 2.13%, Pinebridge Investments with 2.77% and Bajaj Allianz Life Insurance Company with 2.78%. The stock hit a One Month High for the first time this year on 17-Oct at Rs. 775.05/- and has steadily moved to Grade 7 hitting an All Time High of Rs. 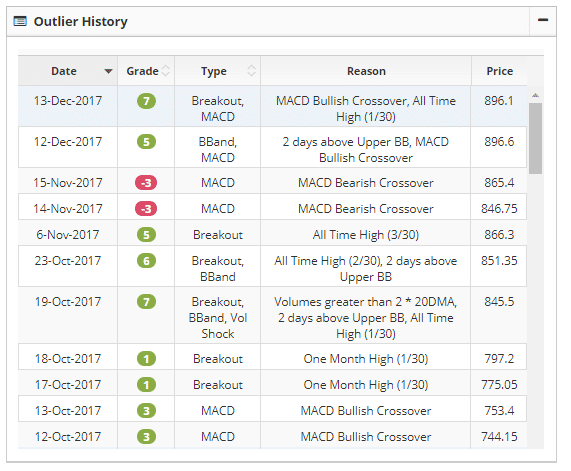 896.1/- on 13-Dec.
Is it poised to grow? A good monsoon -> better mechanisation opportunities -> healthy acreages -> bodes well for the company’s pumps business. Higher budgetary spend -> long term irrigation projects -> positive for the pumps industry. Make in India -> commissioning of new plant -> reduction in volatile earnings thereby stabilizing revenues. The outlier shows some price momentum in the stock. Valuation wise, a P/E of 50 makes it an expensive stock and only strong earnings growth can redeem the price. The small expansion in energy pump capacity and general demand for energy/boilers and water treatment should create revenue opportunities for growth. The high promoter holding, near zero debt and relatively low institutional interest makes the company interesting to watch. NOTE: Please do not consider this article as a recommendation. It is purely for informative purpose only. Authors may have positions in the stocks mentioned, so consider our analysis biased. There is no commercial relationship between Capitalmind and the companies mentioned in this analysis.